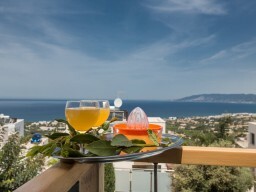 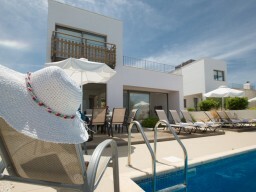 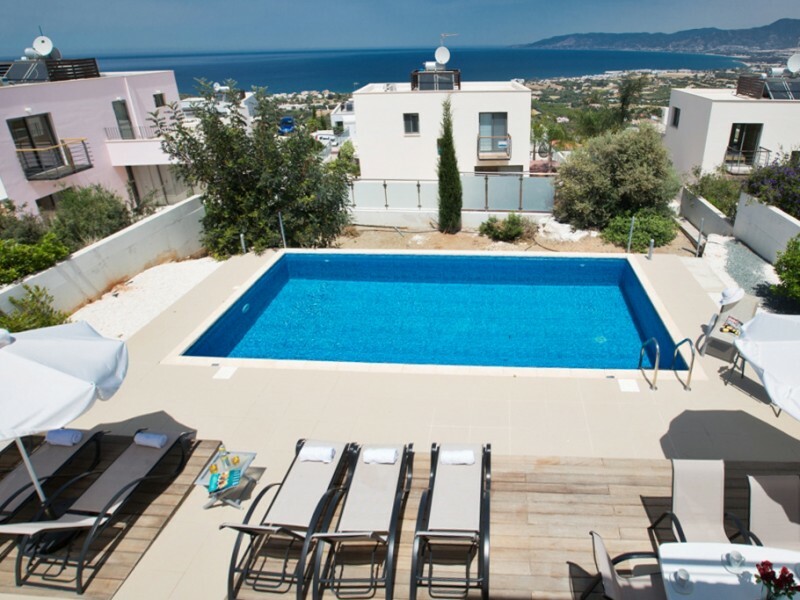 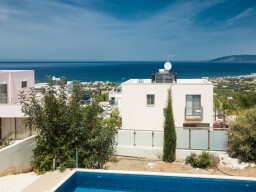 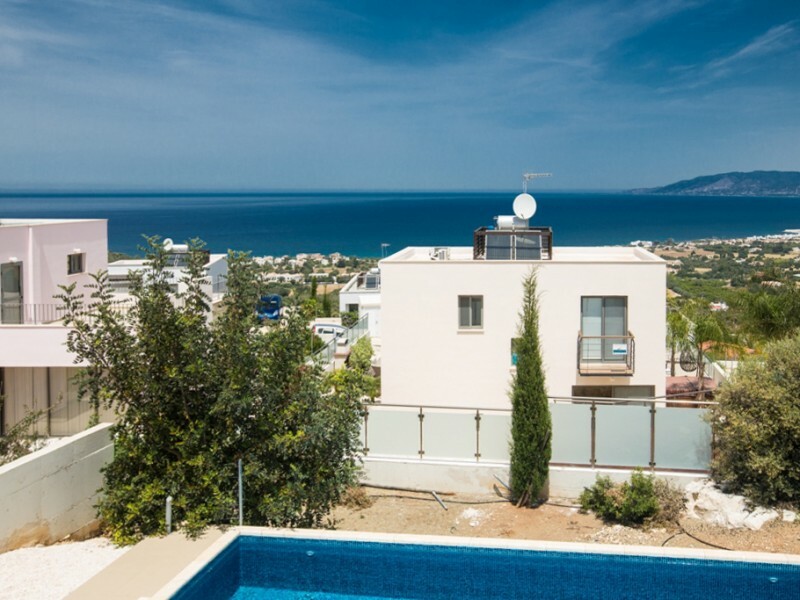 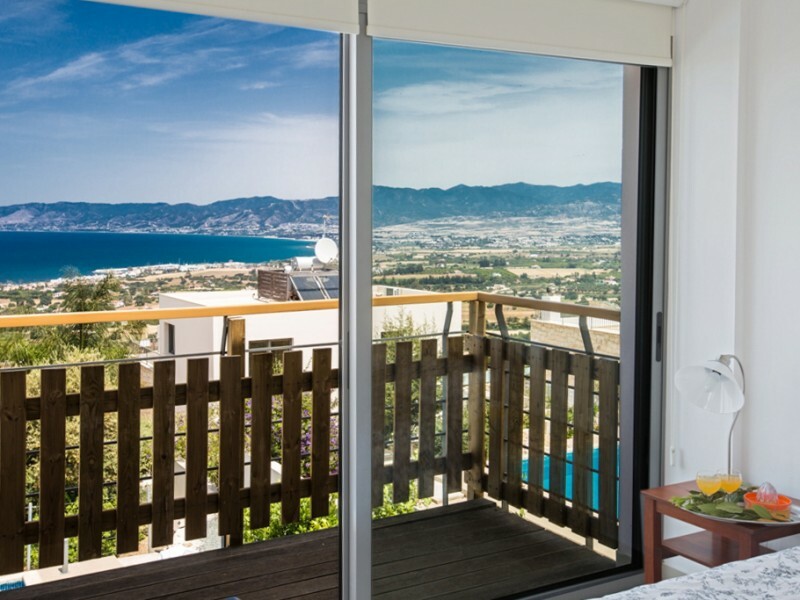 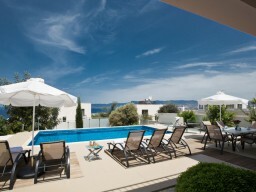 Spacious three bedroom villa with stunning panoramic views of the Mediterranean Sea. 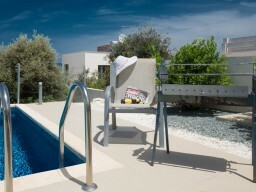 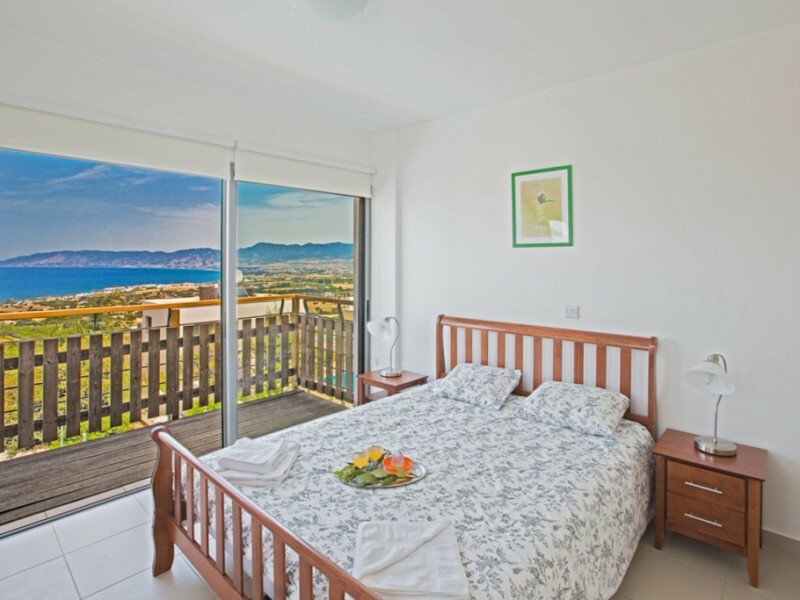 The villa is located in a picturesque area of the Akamas peninsula in the southern part of Cyprus. 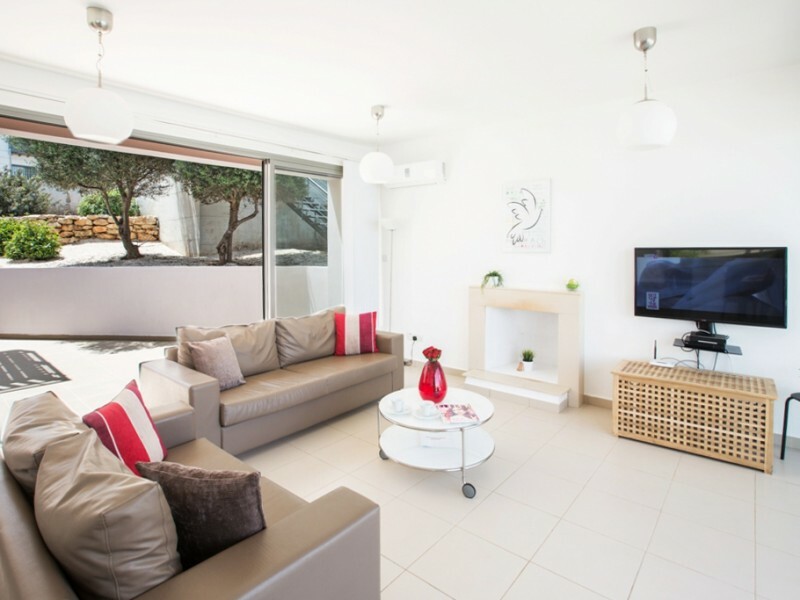 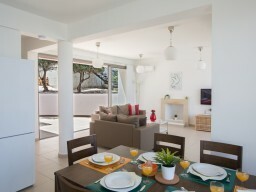 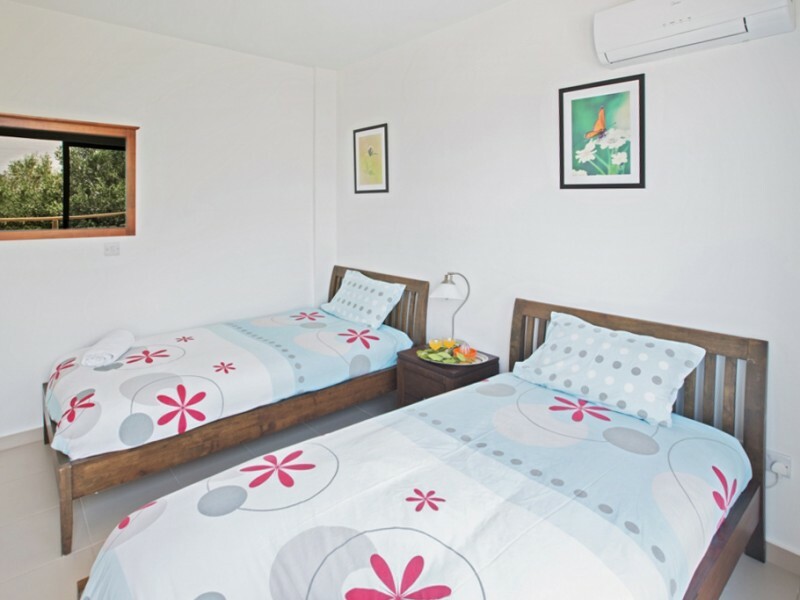 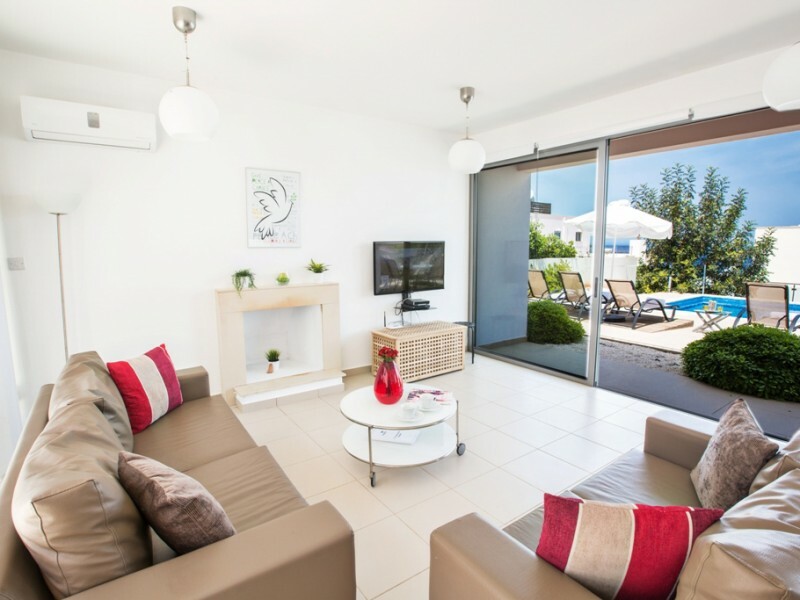 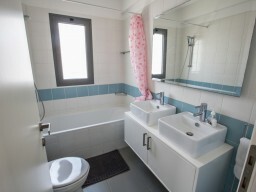 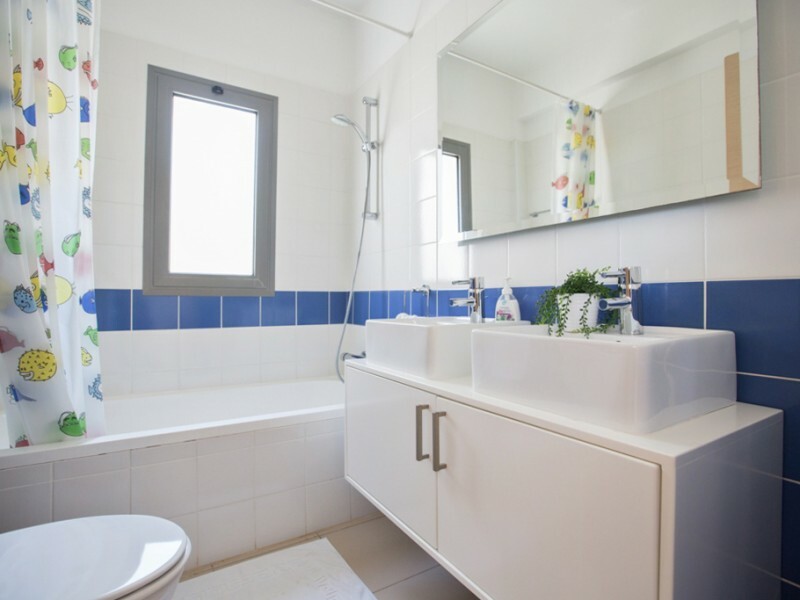 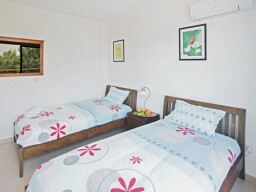 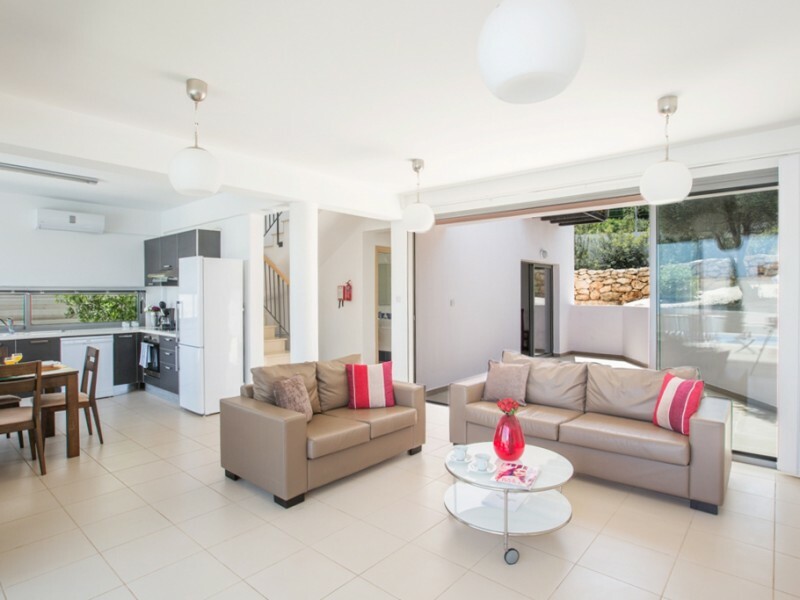 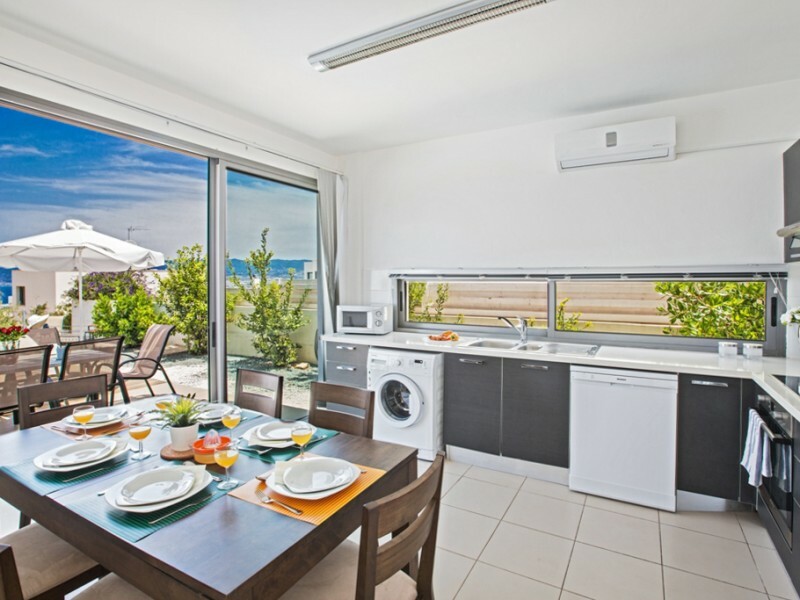 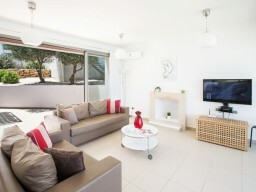 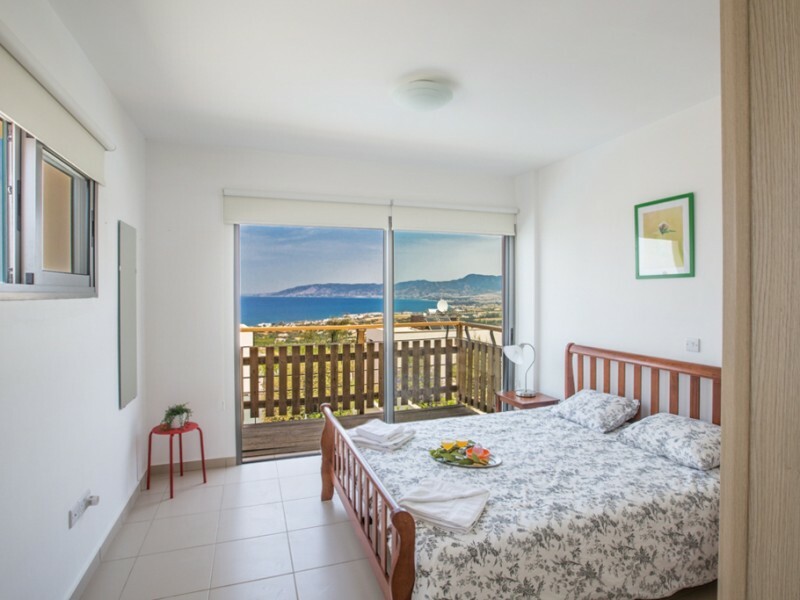 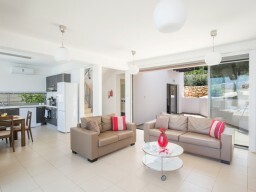 Fully furnished with modern furniture and household appliances. 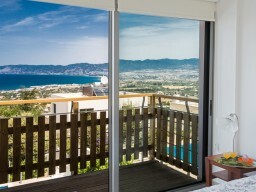 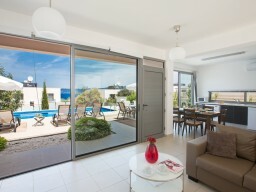 On the ground floor open plan living area, with stunning views of the sea. The dining area seats 6 people, the kitchen is fully equipped with all necessary appliances for cooking. 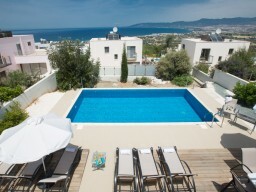 At the villa is a swimming pool and a garden with fruit trees.